Finding the time in your busy day for exercise can be tough at the best of times. 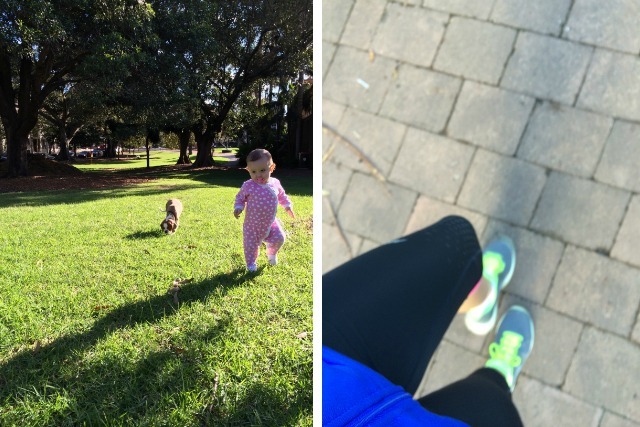 Finding the time for it whilst at home with kids is even more of a challenge. So it’s then no surprise that fitting exercise into your schedule whilst working as a nanny can be downright difficult. A sheer lack of hours in the day can feel like the odds are stacked against you, especially if you’re working long hours. Scheduling your alarm for 4.30am so that you can get up and go for a run and be back and showered and off to work for a 7am start is just not realistic. Neither is trying to get to a gym class in the evening when you’ve got off work at 7pm. Because if you’re like me, you’re desperately craving some alone time, some quiet time, and some bedtime! And yet we all know it’s important to exercise. | We know we need to be fit and healthy and be seen as a role model for our children. 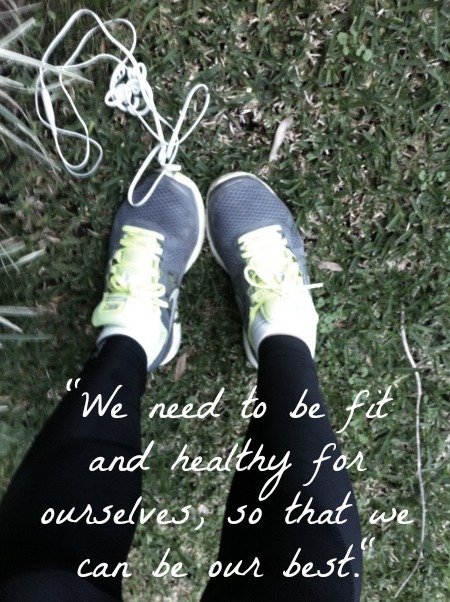 More than that, we need to be fit and healthy for ourselves; so that we can be peppy, and positive. So that we can be the happy-go-lucky people whom enjoy spending our days deep in glitter and Frozen costumes. Right now I have a hectic schedule in the nanny life. I’m booked on for 5 days a week with 4 kids, one of which is a full on toddler with ants-in-her-pants all the time. There are days when I barely have time to stop and think let alone take my coffee out of the microwave after it’s been reheated twice. But I know that if I don’t squeeze exercise into my day, I can quickly lose control of things. Because when you can get away with wearing sweat pants and loose, kid friendly clothes at work, you can often get away with hiding a few extra-unwanted kilos too. 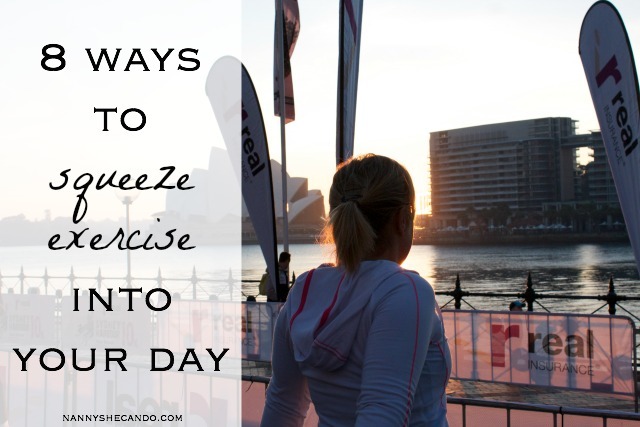 So here’s 8 ways to squeeze exercise into your day, even when you’ve got a house full of kids and a to-do list to stick to. Get your Buda on | pull out the soft mats in the playroom and do some yoga with the kids. They’ll enjoy it as much as you do! Invest in a running pam | running prams are expensive. But they pay off big time! 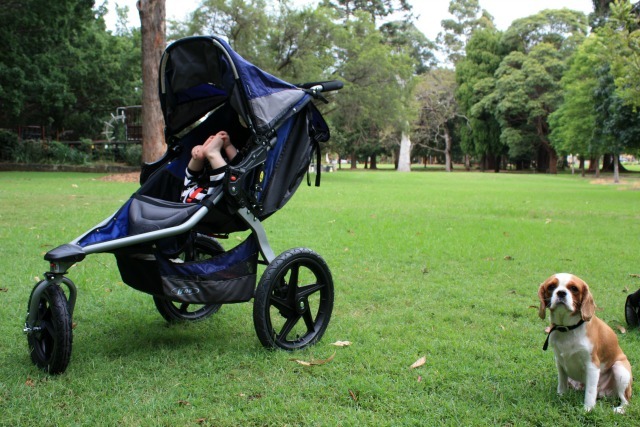 Most prams can hold children up to the age of 8years, so there’s no excuse not to clip them up and head out for a solid run. Dive into the pool | swimming is a great activity and an essential life skill for Australian kids. Be sure to remember your 1-piece and get swimming! Boot Camp | if you’ve got littlies, book into a small closely run exercise class that has an onsite crèche. That way you can get in some exercise whilst the little one benefits from some much-needed socialisation and interaction. How do you fit exercise into your day? Do you exercise with kids? Good ideas here, it can be very difficult to exercise with children. I definitely need to take some of this advice! I love the trampoline idea. We’re thinking of getting one this Christmas. 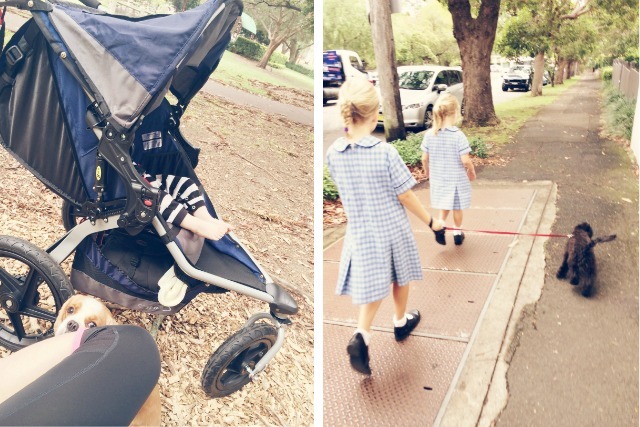 I’m so slack with exercise but I do try to walk the kids to and from school at least a couple of times a week. I love to have little “Dance parties” with my son, and even the kids at the daycare centres I have worked at! The best thing is that the kids don’t judge my dance moves like adults would haha, and I can pull out the weirdest most old-school moves! Haha so true – kids sure love it when you pull out the old favourite dance moves. #noshame Oh, what kind of jogging pram do you use? I jump on my exercise bike six days a week. 40 ,minutes watching a Greys Anatomy on DVD and I feel so much better. Woooo go you good thing! Deb @ home life simplified recently posted…What do you look forward to? Such a great post Hope!!! I like to get involved in their games – gives me a bit of exercise and the kids love it too! All those little things add up, don’t they? My kids love yoga too, in fact when they were at preschool, it was one of the techniques the teachers used to use to help wind them down before their midday rest period. It’s actually quite surprising just how sedentary our lifestyles are, even when you are working with kids. Unless I schedule a decent amount of exercise into my day, really the most we achieve is simply being on our feet. Great ideas! I’m a fan of always taking the stairs. And I just signed up for a martial arts class with my son *gulp*. Yep, I’m rather fond of the stairs too! Good luck with the martial arts, i’m sure it’ll be interesting. You’re so right Lucy, teaching is another one of those “always on the go” professions. Yep, join the PE class, or implement a morning classroom workout with your kids. My all time favourite teachers did that, a little boogie in the morning was a great way to start to learning day! So true Emily, finding the motivation is always the hardest part! Great tips Hope. I agree that we really need to set a good example to our kids. My toddler loves doing stretches and some yoga with me in the mornings. I must admit it’s hard to keep my concentration though when I’m trying not to laugh at his moves! Haha watching the kids do their downward dogs is always a funny sight isn’t it Lauren!